AMD – MYOB Awards Finalists! AMD have been recognised as a Finalist in the MYOB Partner Connect Awards for 2018 in the Accounting Practice of the Year category. Two of our staff members, Melissa Barrett and Rachel Downard have also been nominated as Finalists in an additional four categories being; Bookkeeper of the Year, Innovator of the Year, Young Accountant of the Year and Young Bookkeeper of the Year. These awards are across Australia so being nominated as a Finalist is a huge achievement, and being acknowledged for assisting our clients to a high level with the use of technology is a success in itself. The award winners will be announced at the MYOB Partner Connect Gala Night in Melbourne on the 21st of September 2018. 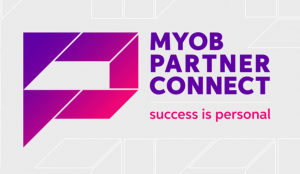 Head to the MYOB Partner Connect website to find out more about the awards here.